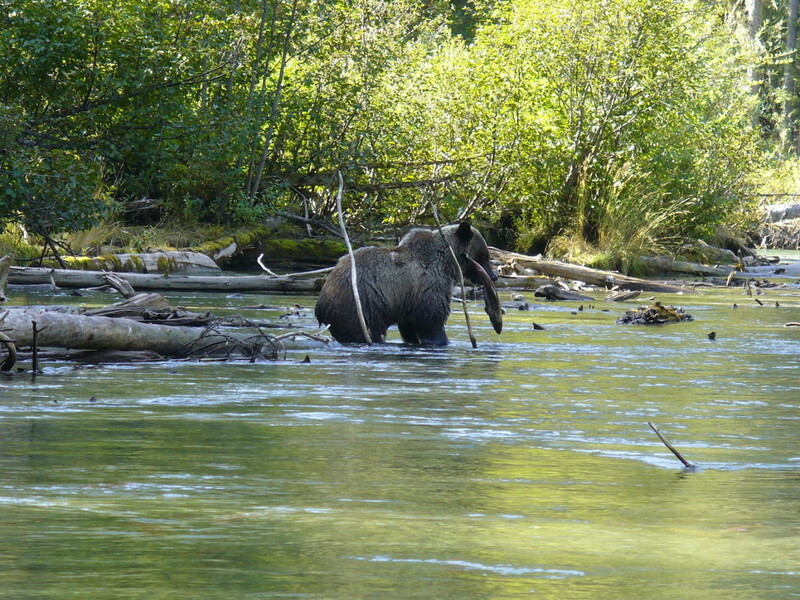 See one of nature’s great exoduses as salmon fill Fraser Canyon Rapids. 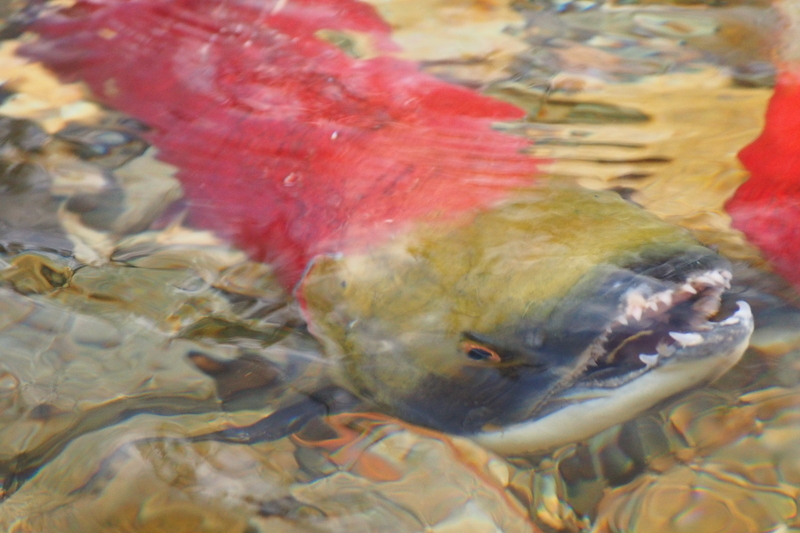 The life story of the sockeye salmon is a powerful tale of triumph over adversity, and nowhere is it repeated more than in British Columbia’s Adams River – which feeds the mighty Shuswap Lake and its aptly name south-western branch, Salmon Arm. Here, every four years, tens of millions return from riding the Arctic currents of the Pacific, struggling upstream through the Fraser Canyon rapids in an effort to reach their birthplace. Such is the spectacle that many flock here to witness it, not all of them human: black bears and grizzlies stand on the banks catching a pre-hibernation supper, bald and gold eagles drop down to feast from the fray. 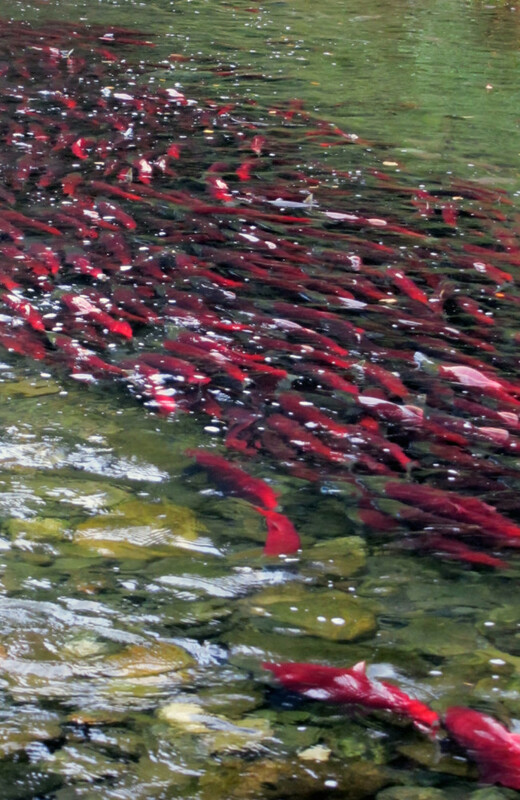 After three tiring weeks, the salmon that survive reach their spawning ground and the cycle begins again. Only one in every 3000 born will make it back. 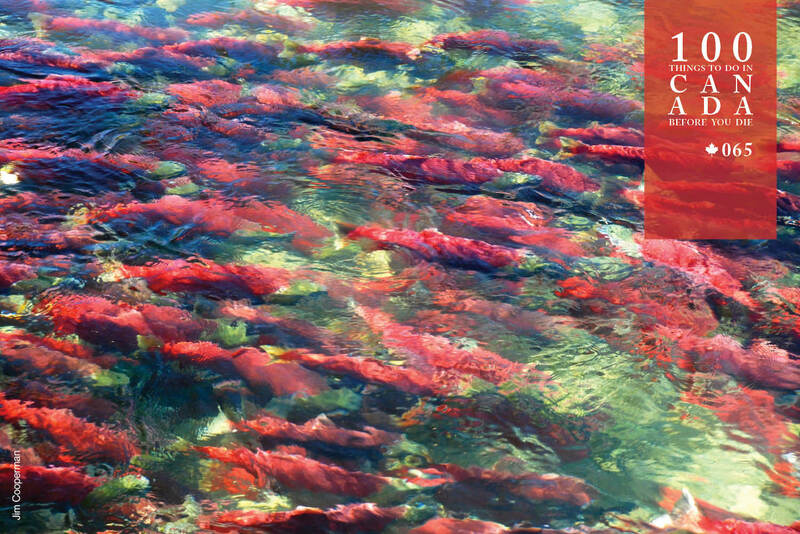 No-one knows why the world’s largest sockeye salmon run occurs here every four years, or even how they find their way home after a 4000-kilometre round-trip, but for salmon and spectators alike, it’s a once-in-a-lifetime experience. Join the salmon migration (tourismkamloops.com) or consult Momento Travel. 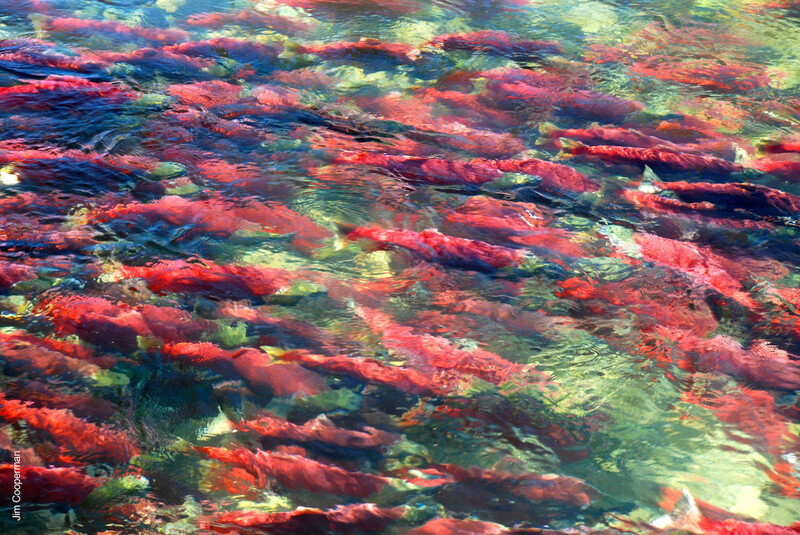 Some salmon return every autumn, but the next dominant run is in October 2016. Adams River is a 50-minute drive from Kamloops, BC. Roderick-Haig-Brown Provincial Park has viewing platforms that stretch over the river.